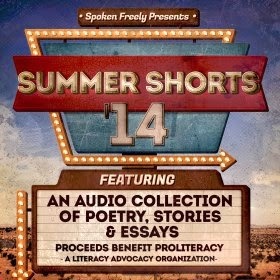 June is Audiobook Month, and to celebrate, a group of more than 40 professional narrators has teamed with Going Public and Tantor Media by offering Summer Shorts ‘14, an audio collection of poetry, short stories and essays. All sales proceeds from the collection go to ProLiteracy, a national literacy outreach and advocacy organization. All month you can visit Going Public and various blogs to hear 1-2 stories stream for free on their release day. You can purchase the entire collection at Tantor Media and you’ll receive 20 additional tracks while supporting a great cause. Summer Shorts '14 is focusing on poetry this week, and I'm thrilled to be hosting a 2-day feature on Edna St. Vincent Millay. Today it is my pleasure to welcome Kathe Mazur to Lakeside Musing and to share with you her performance of "An Ancient Gesture". People come to poetry at various times of life and for a variety of reasons. I asked Kathe to talk about her choice of poems for this project. I was working in a summer stock theatre at 15 when one of the actresses there, Ingrid Sonnichsen, took me under her wing. She gave me The Collected Works of Edna St. Vincent Millay, and its that dog-eared and Post-It covered copy that I am still reading today. I devoured it. Millay's writing cut right to the heart of of me. The size of her appetite for life and for feelings, for love and loss, and her wit, brilliance and accessibility made her the perfect writer for me to be curling up with, and as my life went on, that never changed. But my understanding of the poems deepens as I understand more about love and loss. What a woman, what a writer. An Ancient Gesture: during the 20 years when her husband, Odysseus the King, is away and she knows not where he is, Penelope is besieged by suitors who want to take his place. She puts them off by pretending to weave a burial shroud for her Father-In-Law, Laertes, and tells her suitors she won't re-marry until it's finished. She weaves it all day, and takes it apart all night in secret, so that she can stay loyal always to Odysseus. The speaker in this poem realizes her connection to Penelope's grief and sorrow, in her own gesture of wiping her eye. it is a universal gesture of heartbreak, that connects her back through time. Copyright 1954, 1982 by Norma Millay Ellis. Reprinted with the permission of The Permissions Company, Inc., on behalf of Holly Peppe, Literary Executor, The Millay Society, www.millay.org. Käthe Mazur ( pronounced "Kay-ta"),is best known on television for the role of DDA Andrea Hobbs that she plays on both The Closer and it's hit spin-off, Major Crimes. She has recorded over 100 audiobooks, including the multi-award winning Quiet: The Power of Introverts in a World that Can't Stop Talking, by Susan Cain, and The Nanny Diaries by Emma McLaughlin and Nicola Kraus, and the works of Nora Ephron, Tess Gerritsen and Jacquelyn Mitchard, among many others. She also has the distinction of having recorded both Hillary Clinton's and Anne Coulter's books in the same month. She has won multiple Earphone awards, is an Audie nominee and been on all sorts of great Best Books lists. She will appear soon on American Sniper, directed by Clint Eastwood, and has worked extensively as an actress in film, theater and television, including The Mentalist, Grey's Anatomy, Private Practice, Criminal Minds; Suspect Behavior, ER, and Monk. She lives in Los Angeles with her husband and son. Stay on top of daily releases by following the Complete Blog Hop Schedule at Going Public. Came back here for more Edna St. Vincent Millay. Amy Rubinate, Cassandra Campbell, and Kathe Mazur - Sonnets 2, 4, and 6 from Renascence & Other Poems. 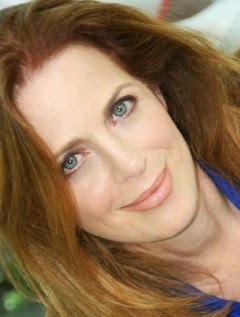 AudioGals will host Colleen Marlo - How Do I Love Thee? by Elizabeth Barrett Browning. I 've never listened to a poetry book on audio. I should try it sometimes, seems like it would be a perfect fit. Carol - The first time I listened to a book of poetry was a few years ago with a collection called Poetry Speaks Who I Am by Elise Paschen and Dominique Raccah. It's a collection of over 100 poems, from classics to contemporary, and comes with a CD. Although geared toward 7 -12 year olds, I was in awe. It really changed the way I look at poetry. Now I much prefer listening! I enjoyed the reading by Kathe Mazur. Thanks for sharing the audio. It is great that you are supporting Literacy in this fashion.